Here's an execution I did in portfolio school. 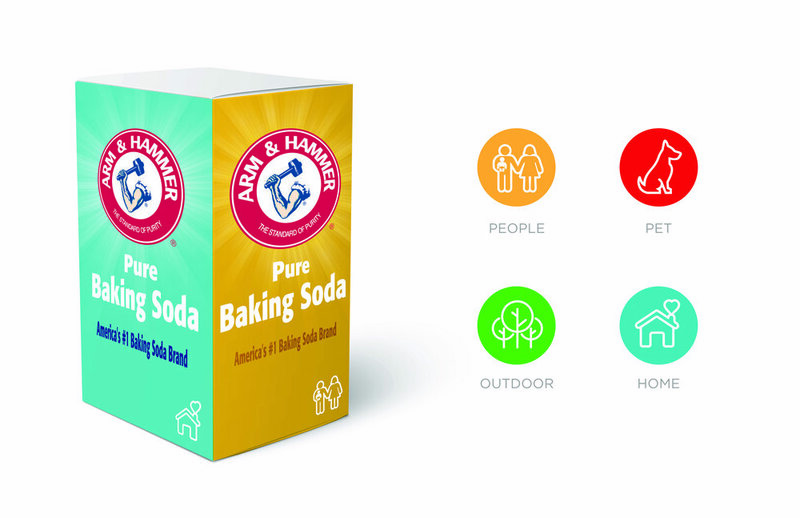 The project was to come up with ads for Arm & Hammer Baking Soda to inform consumers of the multitude of uses for the traditional baking soda product. From the laundry to your pet, from cooking for your family to personal hygiene for yourself, the brand needed a way to educate their customers about the versatility of a product...not a commercial. SOLUTION: A 4-sided package that could be placed in different aisles of the grocery store. The Minnesota United was looking for a new brand idea for their 2019-2020 season, their first season at the new Allianze Field. We decided to leverage the strength of their Loon mascot and came up with idea of “Rise to the Call”. This was the video that kicked off the pitch deck. No, we did not win, but deep down inside I think we should of. That’s why it’s here. I had the opportunity to pitch Jackson Hole and the team and I came up with a strong idea around “Be In Direct Contact”. We had a strategic media buy that targeted the 13 cities in the United States that had direct flights to Jackson Hole. We wanted people to not look at Jackson Hole as a vacation to get away form it all, but a destination to come in contact with it all. Below is the Manifesto I wrote to kick it all off. For the 2013 Annual Report at Latitude we wanted to humanize the report and tell our clients that by working with us they were part of a larger purpose, they were part of getting food and water to less privileged individuals around the world. The result was the 2013 Elevation Report. We took home awards from AIGA and "The Show" in the process. In early March I was asked to be a guest on the 10,000 HOURS podcast hosted by Grant Spanier and Vince Koci. The topic of the podcast was all around "Shifting Gears" and how a modern creative may apply the same or different process depending on the project. Good conversation. Fun times with friends. Enjoy.